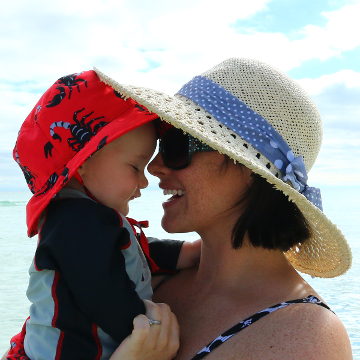 Today I am sharing weeks 8 and 9, since I was at Blissdom last week and needed to catch up. I am glad that I don’t have plans for the next few weeks – doing two weeks at once can be challenging. I did keep things pretty simple though – especially for week 9. In addition to my regular pages, I inserted an instagram insert and a 6×12 insert. For the left page, I relied on journaling stickers on my photos because I had SO many photos and I didn’t want to cut any of them and make room for journaling cards. If you haven’t heard, Staples just started carrying the Martha Stewart office supply line and the label stickers are PERFECT for Project Life. PLUS, they are only $2.99 for about 160 of them. Definitely worth making a trip to Staples for. I used thickers for the 8 mos. on Adeline’s monthly photo. I like the stacked photo of Elias and Adeline. 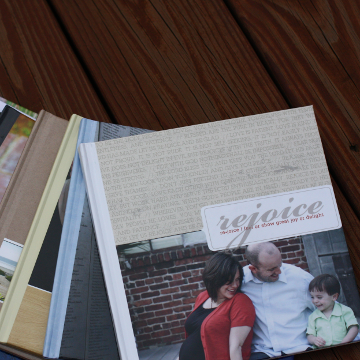 They are each 3×2 and printed out to 3×4 to fit in the journaling slot. 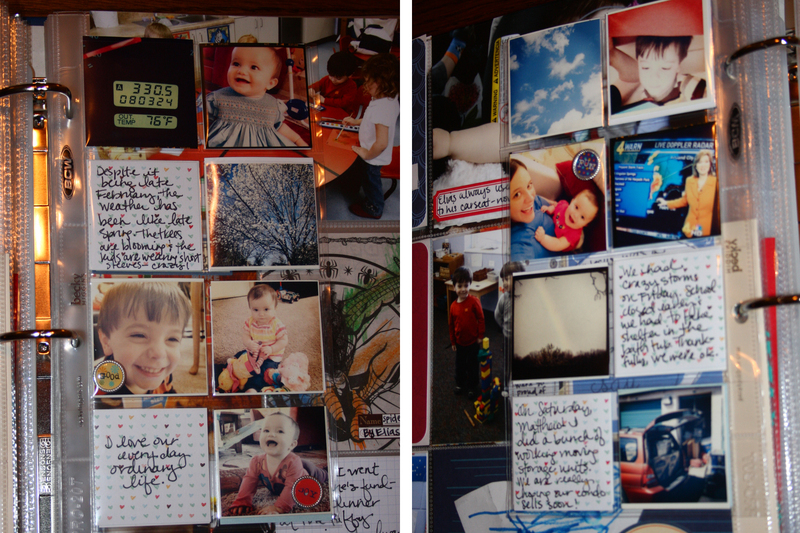 The use of two stacked Martha Stewart labels to fit all my journaling on the BW picture. I got a few great shots of Adeline in the photo areas at Blissdom, so I just had to print them on a big 6×12 sheet. I embellished the large photo with some stickers at the bottom. 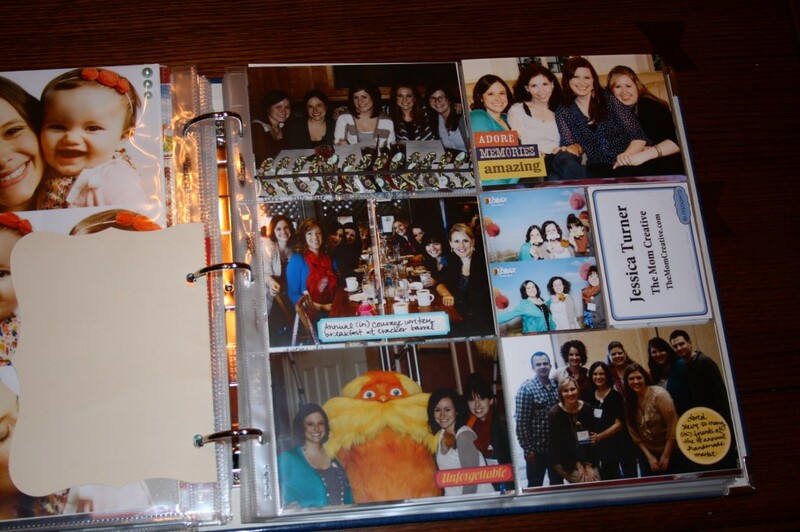 I took a lot of Instagrams during Blissdom, so I used a coin collector insert (trimmed) to include all my photos, plus some bits from my Blissdom program. I like the lightbulb sticker, which I stuck over two slots (on the outside) to tie everything together. For more on using Instagram in Project Life, check out my tutorial. 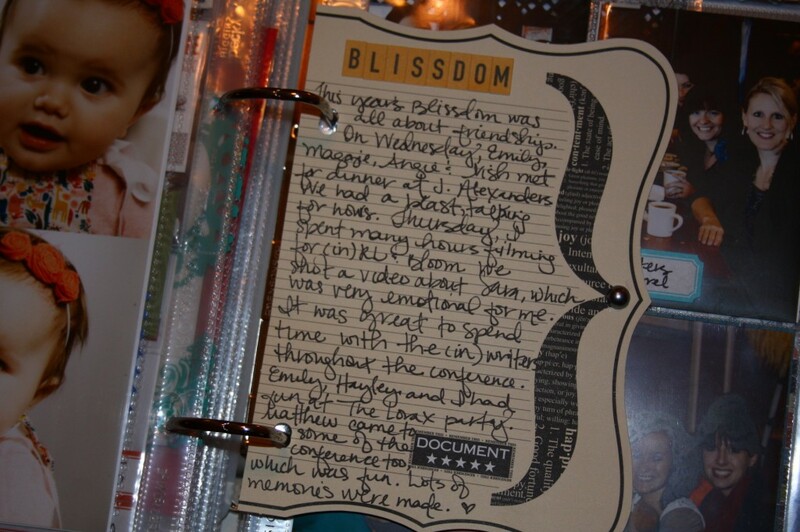 Because I had so many Blissdom photos, I used a large cardstock journaling block to write about the conference. I simply punched holes in it and stuck it in the album. I kept things VERY simple for week 9 – just the regular inserts + an instagram insert. I didn’t take a ton of photos and it was a pretty ordinary week for us. Since I journaled on a lot of the photos, I also had room to add some of Elias’s coloring. He did a space unit at school the past two weeks and I LOVE all the rocket/space elements. I’m so thankful he has a teacher that takes lots of pictures. It is such a gift. On the right page, I love the bottom left collage of Adeline in her grey dress + pictures of RoseAnne Coleman speaking. RoseAnne is an incredible mentor in my life. If your church or minstry is ever looking for an incredible, Godly woman to speak, I can’t recommend her enough. I also LOVE listening to her Miss Helen CDs. Here is a close-up of my instagram page. I love these tiny photos all put together. I pulled from Matthew’s and my stream of images. 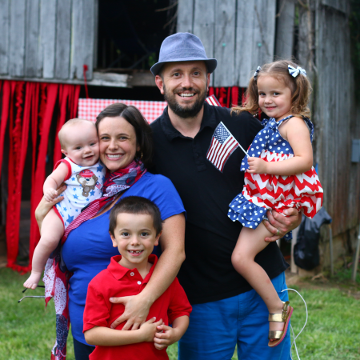 I just found out I was nominated as a Circle of Moms top Creative Mom blogger! YEOW! 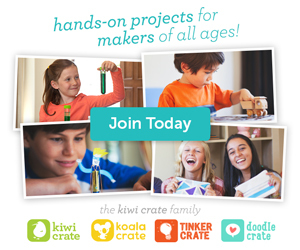 Would you consider clicking the icon below and voting for The Mom Creative? You can vote once a day and no registration is required! THANK YOU! 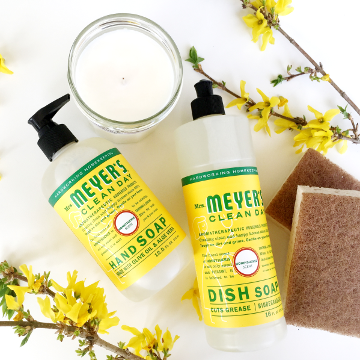 Oh, those Martha Stewart labels are gorgeous – so perfect for PL. Wish they were available in the UK! 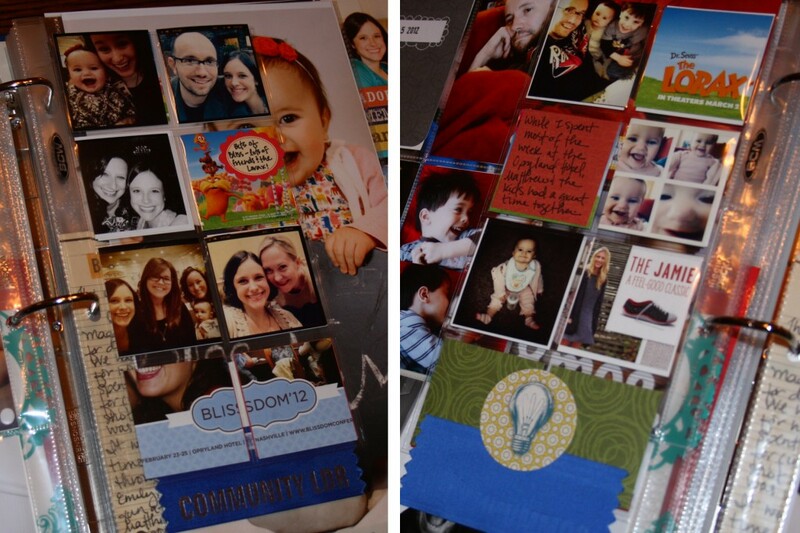 Love the coin collector insert for your Blissdom photos! Your weekly spreads are amazing as always, lovely!! Especially your intagram inserts are way to cool, I have to keep this in mind to get it done for my album from time to time. Thank you so much for the inspiration! I´m always looking forward to read your posts! No, YOURS are amazing. Seriously. Your pages blow me away every week. And you are 38 weeks pregnant? 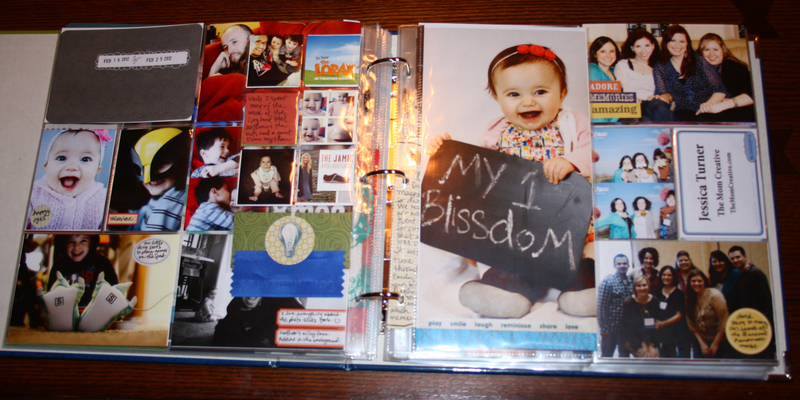 My Project Life album from last year is pretty much empty because I was pregnant. 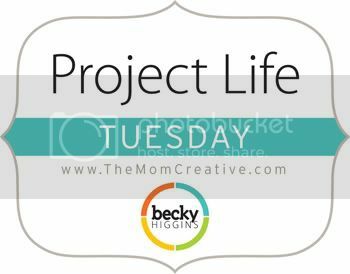 I definitely would lose track of things if I didn’t have a Project Life bin! Yup, definitely going to have to find where my nearest Staples is. I love how even your “simple” week is amazing. The Instagram collections are amazing! You are too sweet. Yes, go to staples! I am so impressed with your last 2 weeks, your album is coming together SO nicely, very inspiring! where else would I be today! Love all the add pages my friend. the instagram inserts are awesome, especially when you can pull from hubby’s phone too 🙂 Happy PL day! The instagram inserts are quickly becoming a favorite of mine. So excited – I have several of those large cardstock journaling blocks and now know how i am going to use them!! 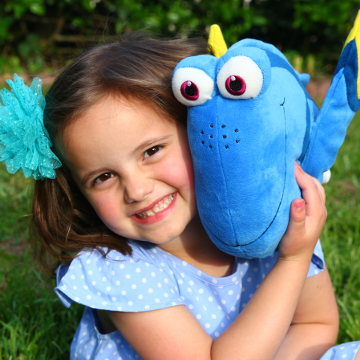 Thanks for sharing your project life and all the wonderful inspiration!! It’s always a good feeling to use stuff from your stash. I have had those journaling cards for 2-3 years! I’m going to try to publish my Week 9 post sometime today. Whenever jet lag gives me a break. 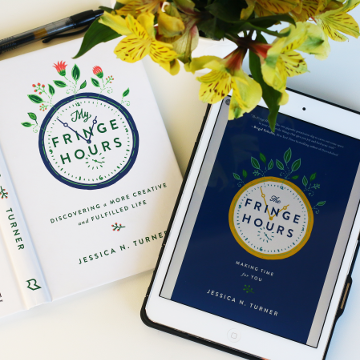 This is just what I needed to get inspired to catch up on my own Project Life. I am trying to catch up on 10 weeks while caring for my 10 week old 🙂 The Instagram pages are a great way to include my husband’s days more. Thanks! Girl, I hear you! I REALLY have big intentions of going back to 2011, which was a fog during my pregnancy. Another great post. Your pages are lovely Jessica. I like the stacked photos in the 3×4 pocket – I hadn’t thought about that. Great use of the journaling stickers! 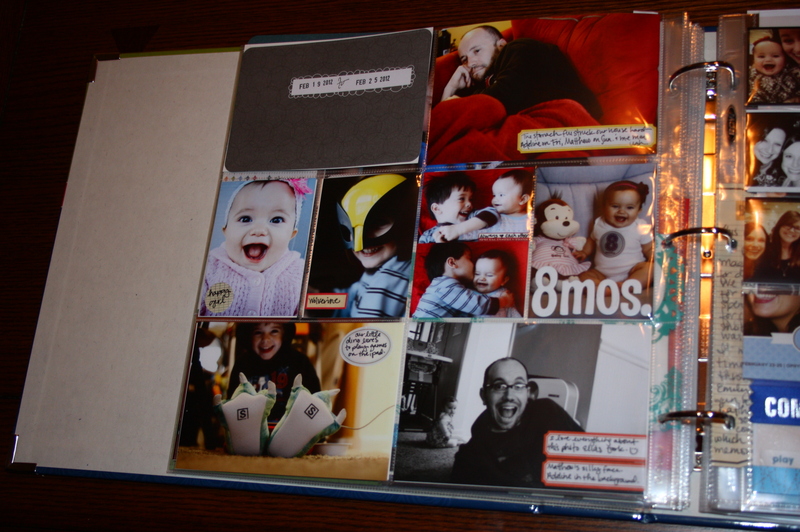 I often fill up a page with photos and add a journaling block on the next page, but I will be checking out Staples soon! Nice little touches to your weeks – photos and all. What great pages!!! I love all the picture variations!!! Great stuff. I’m new to PL – linked up my 1st pages today! M y past 2 weeks I’ve “tried” to keep it simple but I so do love your shares! I love all the happy faces & its just so much inspiration LOVE IT!! Thanks for hosting again. Love being able to link up and see the fabulous stuff everyone is doing, even when I’m late getting my pages done. Congratulations on the nominations. Of course I already voted for you!